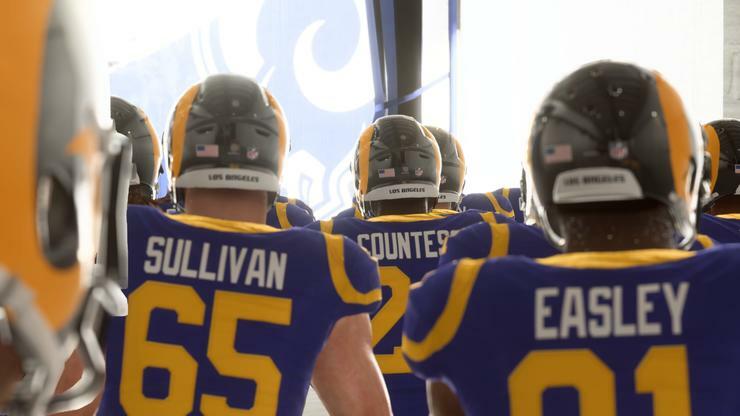 After a decade-long hiatus, the NFL returns to PCs in Madden 19, and it's the definitive way to play despite showing some console roots. Madden 19 fills a hole in my heart. Forsaking consoles after five(!) Xbox 360s died from a mixture of red rings of death and disc reader errors revealed a weakness to exclusively embracing PC gaming: The lack of big-budget sports games. Sure, you’ll find the established NBA franchises, but proper baseball or golf games are limited to quirky indies. And football? Fuhgeddaboutit. EA’s Madden series holds exclusive NFL rights, and the last entry to grace PCs was Madden NFL 08, which actually released in 2007 with Vince Young (remember him?) on the cover. The drought is real. Or at least it was. The NFL returns to PCs with Madden 19 ($60 on Amazon) on August 10. EA Origin Access subscribers can trial the game today. And friends, it feels capital-G glorious to toss the virtual pigskin around at uncapped frame rates. The series’ console roots show once you dig into the details, but settings snobbery isn’t enough to kneecap the sheer joy of finally playing a football game on the PC. I’ve been playing Madden 19 non-stop since last Friday, but this won’t be a traditional review. It can’t be; like many PC diehards, I haven’t touched the series in years. Instead, this article examines Madden 19’s PC port details and initial impressions as a virgin to modern Madden. EA’s recommended specs are largely similar, but boost the GPU requirements to the equivalent of a GeForce GTX 670 or Radeon R9 270X. That level of hardware will match the console experience, EA says, though like with most PC games, ramping up the horsepower can push the game even further. I’ve been playing at 4K resolution on an AMD Ryzen 1800X ($240 on Amazon) and an EVGA GTX 1080 Ti SC2 ($750 on Amazon) and the frame rate usually hovers around 90 fps during on the field action. 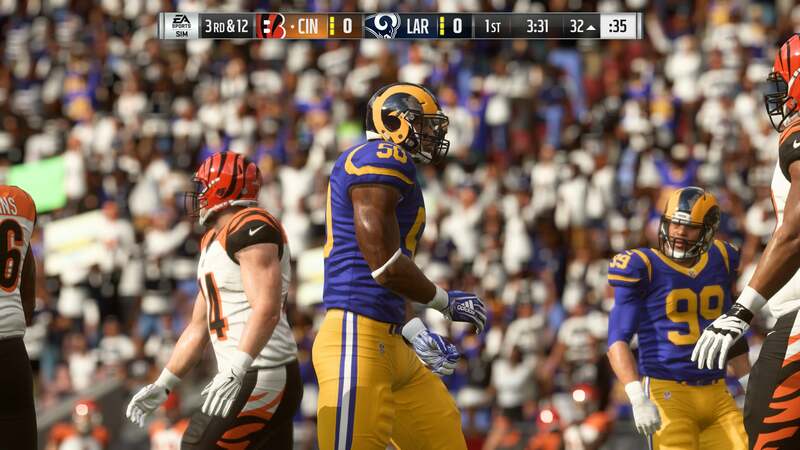 Madden 19's PC graphics options. Yes, I said 4K resolution and 90 frames per second. Madden 18 suffered from some frame rate issues on the consoles, but Madden 19 on modern PC hardware doesn’t whatsoever. 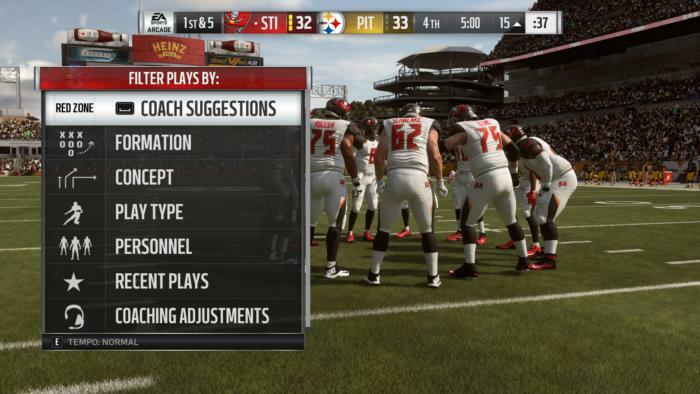 Madden 19 gives you control over a decent amount of graphics options for a sports game, though it’s far from extensive. The windows modes are limited to full-screen or windowed, for example—no borderless for you! The basics you’d expect are all present and accounted for, though, including support for 4K resolutions, V-Sync, and 30-fps, 60-fps, or uncapped frame rates. But the lack of HDR support is a bummer considering that a post-launch patch added the feature to last year’s Madden 18 on consoles. 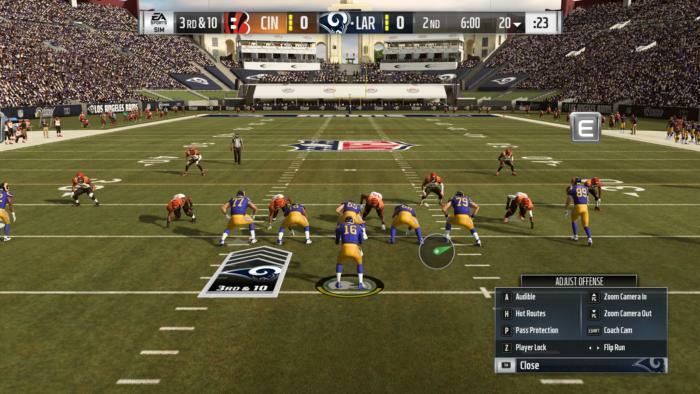 You can see the virtual thumbstick to the right of the quarterback in this image. The keyboard and mouse controls hold up surprisingly well after a bit of practice. WASD controls can’t mimic the pressure-sensitive nuance of a controller’s thumbsticks, so rather than tying movement to the keyboard, Madden 19 includes a “virtual thumbstick” managed by your mouse. It appears as a small circle in the right corner of the screen, with an arrow inside pointing toward a direction. When you slowly move the mouse just a little bit, the player you’re controlling saunters in the same direction. (Think of a safety creeping toward the line of scrimmage pre-snap.) Move the mouse farther and players pick up speed. It takes a bit of practice to wrap your head around the scheme, but once you do, the virtual thumbsticks emulate the range of movement and pressure-sensitive speed of physical joysticks pretty effectively. EA also gets bonus points for letting the scroll wheel change camera angles, too. 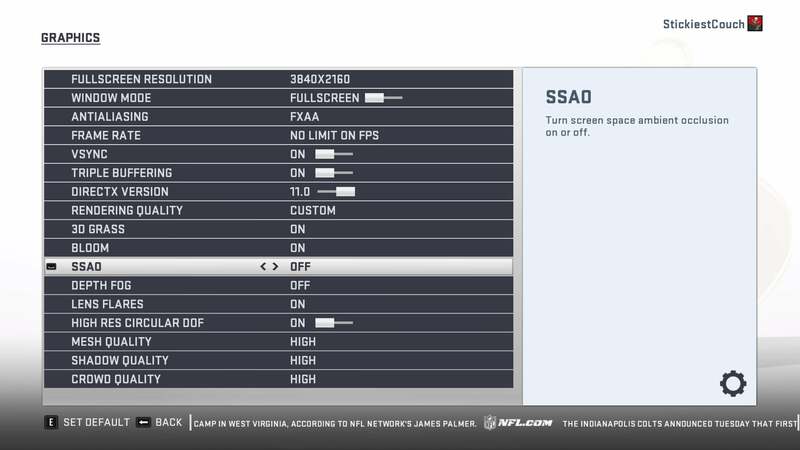 Madden 19's complex PC controls can't be re-mapped, and you can't mouse through the tabs in this menu. Playing on a controller feels a lot better, though. Madden 19’s keyboard controls are incredibly complex, using most of the available buttons and then building byzantine keyboard combinations on top of that. The scheme changes depending on whether you’re on offense or defense, which player you’re controlling, and whether you’re pre-snap or in the middle of a play. It’s a lot to wrap your head around, and never feels anywhere near as natural as just picking up a controller. 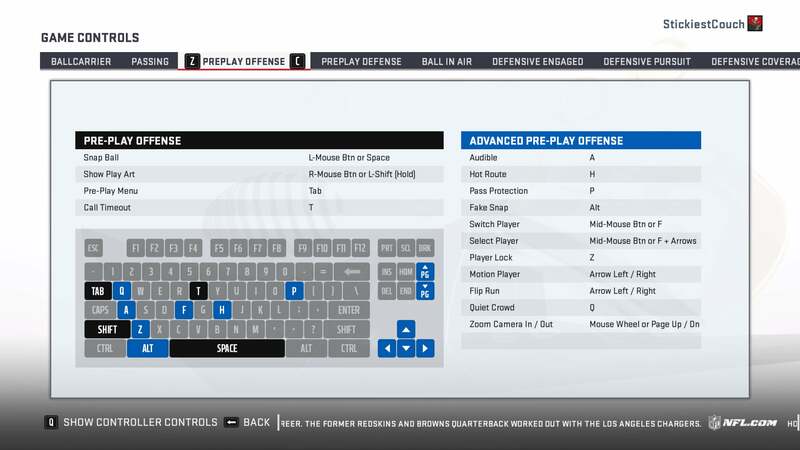 Making matters worse, Madden 19 doesn’t let you re-map the keyboard controls. Given the complexity of the controls I can almost understand why, but re-mappable controls are essentially table stakes on computers. Adding the feature would make PC gamers feel more welcome to the series. That disappointment’s exacerbated by the fact that while the game’s menus works as expected 99 percent of the time, you can’t mouse through the tabs in the Controls sub-menu—though you can everywhere else. You have to use Z and C to tab through the different schemes. Bottom line: You can play Madden 19 on PC with a keyboard and mouse after conquering a learning curve, but you’ll probably want to invest in a controller. Once you’re ready for kickoff, Madden 19 looks gorgeous on the PC if you’ve got enough firepower to throw at it. No, it’s not the prettiest game ever released, and I’ve encountered some of the series’ long-standing camera oddities and clipping issues, but you’ve never seen an NFL game this beautiful. 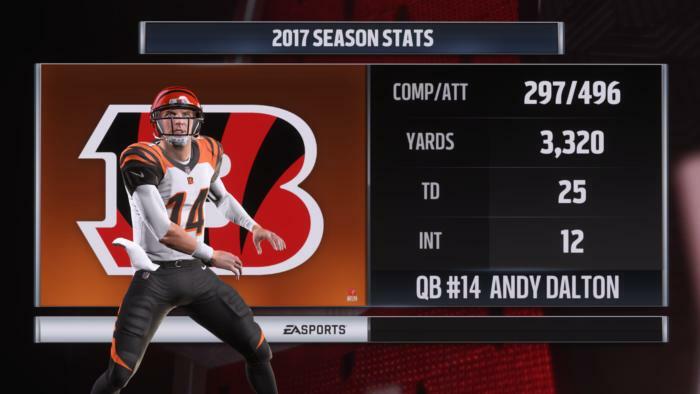 Madden 19 on PC is the definitive way to play. Look at the sweat on those biceps. The overall presentation of the game deserves particular praise. Madden 19 excels at truly feeling like an NFL broadcast between plays, leaning on clever camera angles and far more natural, responsive commentary than what was available when I last played Madden a decade ago. After a game-changing play, Madden 19 oftentimes flows naturally into a replay while the commentators share something unique about that particular player. Cuts to stats and live gameplay analysis occur between snaps. It’s a polished, impressive package—so much so that when my eight-year-old daughter wandered in while the game was introducing my team’s offense, she was utterly convinced I was watching a real NFL matchup, not playing a game. Last year’s game suffered from frame rate issues on consoles. There’s none of that on the PC, but in my testing, the total frames per second can fluctuate wildly depending on what’s occurring on-screen. I’ve been playing at 4K resolution on High graphics settings with an EVGA GTX 1080 Ti SC2 on Acer’s Predator X27 G-Sync HDR monitor ($2,000 at NeweggRemove non-product link), one of the first displays to support 4K at up to 144Hz. In the middle of a play, frame hits hovered around 90 to 100 fps. When the camera pulled in close during presentation-heavy in-engine moments, I saw dips as low as 49 fps, though the game usually managed 60 fps. That’s a massive swing in frame rate, though thankfully, the pronounced camera angle changes between the two scenarios—mid-play and “presentation mode”—kept the shift from feeling noticeable or jerky, even when I disabled Nvidia’s stutter-killing G-Sync tech. Another benefit of Madden 19 on PC: Shorter load times. Consoles use slow traditional hard drives, and previous Madden incarnations suffered for it, but many gaming PCs rock lightning-quick SSDs. My test system packs a speedy Samsung 960 Pro. The initial game load takes about 20 seconds to land on the main menu, and booting into a new game takes 10 to 15 seconds. Other than that, loading screens are nonexistent. Other SSD-equipped systems should see similar performance. As for the game itself, well, it’s Madden. This version adds some new moves for ball carriers and defenders via a “Real player motion” mechanic. You can also select offensive and defensive schemes in Franchise mode, as well as create your own draft classes ripe with rookies. The microtransaction-filled Madden Ultimate Team mode also received a slate of fresh features, including weekly solo challenge tournaments, MUT Squad Challenges that pit a three-person team against the CPU, and training upgrades that let you fine-tune the players on your team. But those iterative gameplay tweaks aren’t the draw for PC gamers. The mere availability of Madden 19 itself is. For the first time in a long, long time, PC gamers can engage in virtual pigskin fantasies. 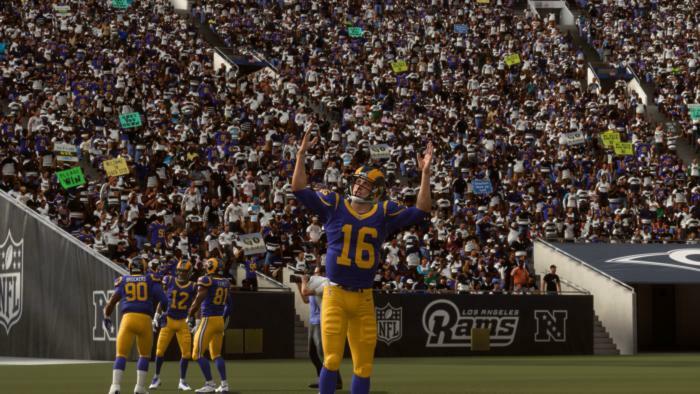 Madden 19 ($60 on Amazon) looks great, Madden 19 sounds great, and it feels so, so great to play an NFL game on PC. Just be sure to bring your controller.